This quick start guide will help you learn how editing works on a wiki. This guide is specially aimed at total beginners, and once you finish reading this, you'll be more than ready to edit articles. Don't feel the need to memorize everything on this guide though – just come back to it when you need a quick reminder. You shouldn't need to know more, but you can learn more by experimenting (common sense will take you far! ), checking the other help pages, learning from an article that does what you want, or asking on the chatroom. If you want to fix a typo, add info, or change text, you will have to edit the article. To do so, open the article you want, and click the "edit" tab at the top of the page. A text box will then appear with the article's contents. Any normal text you type or change will end up exactly as you wrote it. This is some normal article text. You might find some characters that don't make sense as normal text, though. These are explained further ahead. After you make your changes, press "Save page" below the content text box, and the article will be instantly updated. It would be nice if you could use the "Show preview" button first, to see if the article will end up like you planned (remember that this does not save yet!). You should also write a quick summary (e.g. "Fixed a typo." or "Added information about pellets.") so that people can know what you did more easily. To create a new article, use this box, but make sure you read the full guide first, and search to make sure the page doesn't already exist. This section explains the control types. This sub-section explains the classic controls. This one explains the stylus control scheme. This is '''some text''' in bold. 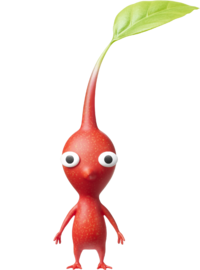 Also, game names, like ''Pikmin 3'', should be in italics. This is some text in bold. Also, game names, like Pikmin 3, should be in italics. On [[The Distant Spring]] there is an [[Smoky Progg|optional boss]] for quick players. On The Distant Spring there is an optional boss for quick players. The wiki can only show images that have been uploaded into it. Use Special:Upload to upload your own images. There is an image to the right of this text. This text should appear below the image. In simple terms, when you write the name of a template, it expands into a whole box, or table, or what have you. If said box/table/etc. has any fields, you can fill them out when you call the template's name. To learn more about how a specific template's arguments work, read that same template's page. To do: Add a table to compare. You can discuss an article on its "talk page". To access it, click the "discussion" button at the top of the respective page. Just type your text in the appropriate place in order to post a comment. After you write it, add ~~~~ at the end, so people know that it was you. To reply to somebody, write your message under theirs, and add a colon (:) before your text, so that it becomes aligned with their response. If their comment already has some colons, then add the same number of colons + 1. When editing, try to use clean English, be consistent with your style, don't go crazy, and write the truth. 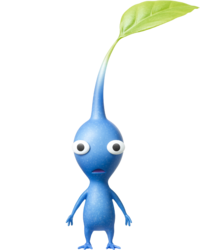 Basically, write what you'd see on a US school book that explains everything about Pikmin. And keep in mind that help is always around the corner. If you still want more information, read the other help pages; if not, then you're probably ready to jump right in and start helping! This page was last edited on November 14, 2018, at 05:29.